These Farm Heroes level 26 cheats and tips will help you beat level 26 of Farm Heroes. 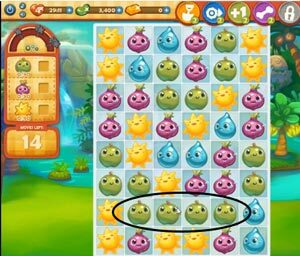 The objective of Farm Heroes level 26 is to collect 80 suns, 80 apples and 80 onions in 15 moves. If you’re going to make the biggest impact in the smallest number of moves, then you should start this level out by making combinations at the bottom of the board. 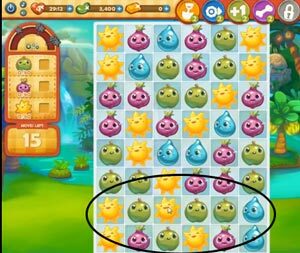 By clearing up space on the bottom of the board, you increase your chances of cropsies making combinations automatically at the top of the screen. This will make a big dent in the amount of cropsies you need for this level. While working on the bottom of the board, keep an eye out for the biggest combinations and make them first. The bigger you can make each match, the better this level will go for you. Big matches clear up a lot of space, causing a cascade effect that will more than likely make some matches for you. This may be obvious, but it bears reminding: don’t make any superfluous moves. 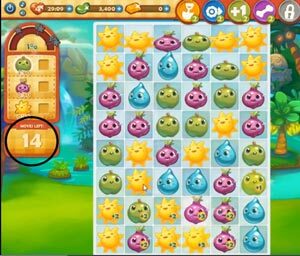 You only have 15 moves to make with over 200 crops to collect total in Farm Heroes Saga level 26. You shouldn’t be making moves if you’re not guaranteed to collect more of the crops you need.